You’d be forgiven if you’ve had some trouble combing through Samsung’s laptop product page. Honestly, I’ve been looking most of the afternoon, and I couldn’t really tell you the distinctions between the various lines. Add to that the various subcategories and SKUs, and the whole thing is a bit a maddening. But while the company’s not doing a great job mitigating brand confusion, it is delivering some solid devices — and the Notebook 9 Pen is no exception. Announced at CES in January, the new device doesn’t represent much of a drastic departure from its predecessor. No surprise there, really, given the fact that the company didn’t even wait a full year for a refresh. 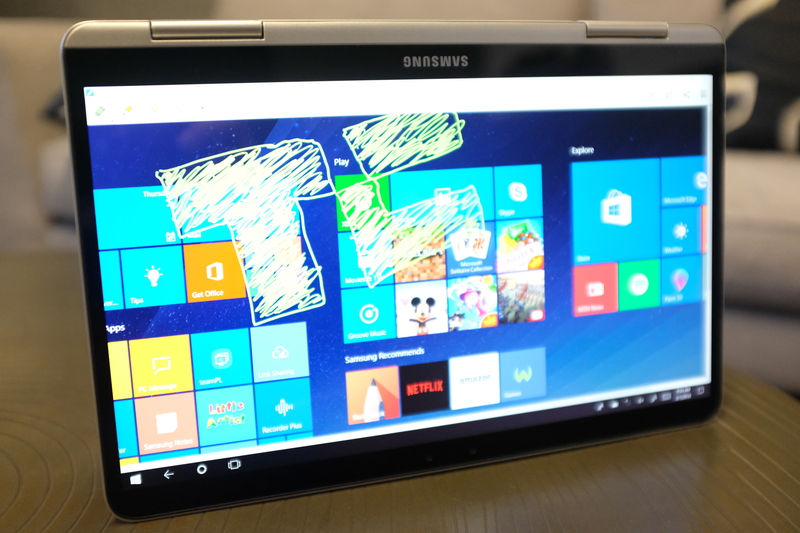 The biggest change here is right there in the name, bringing Samsung’s beloved stylus to the line, to take advantage of Windows 10’s pen capabilities and bringing the Note line’s familiar Air Command overlay to the desktop. It’s not an essential addition by any means, but it gives the company a chance to play in the “creators” category that Microsoft’s been pushing in a major way with its desktop operating system. Build-wise, the Notebook 9 looks a lot like its predecessors — and, for that matter, other Samsung devices, like the Chromebook Pro. The machine’s coated in an alloy the company’s taken to calling “Metal12,” which sounds like a late-’90s rap-rock band, but is actually a sort of magnesium-aluminum combo that’s lighter than aluminum alone. Of course, you run into the same issue that you get with a lot of these materials: a kind of plasticy feel, in spite of its metal makeup. That’s probably a small price to pay for most users, given the weight that it shaves off the body. The thing is deceptively light, weighing in at around 2.2 pounds. It’s not nearly as rugged as the company claims, though. The laptop traveled exclusively between my backpack and work/home desks and somehow managed to get scratched and slightly dinged in the process. Two large hinges on the back give the laptop your standard 360 convertible configuration. That’s handiest when you’ve got the system set up in tent mode, stashing the keyboard away when it’s time to watch a movie or draw with the S-Pen. The downside of convertible over detachable should be familiar to anyone who’s ever used one of these things: when flipped around all the way, the keyboard becomes the back of the tablet. One of these days some clever designer is going to crack that code. The port selection’s a bit of an odd one — but it still beats the two lonely USB-Cs you get on the MacBook and PixelBook. 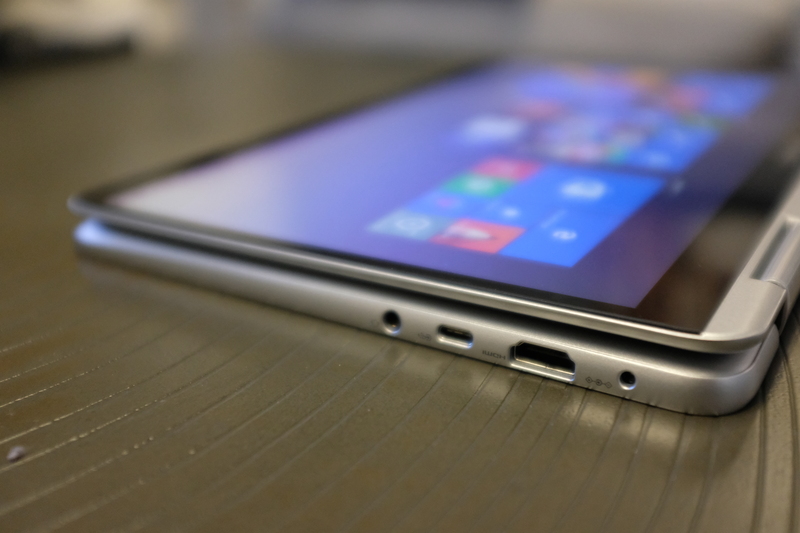 You get HDMI, one USB-C and a headphone jack on one side and a full-size USB and microSD slot on the other. Interestingly the system also has a proprietary charging port, in spite of being able to be charged via USB-C. Maybe it’s just me, but I’d have gone with two of the latter. The S-Pen slot is located up front, just below the palm rest. Good on Samsung for finding a place to incorporate that directly into the system. It’s the only way to ensure that you don’t wind up losing the thing every other day. This was accomplished, in part, by incorporating what’s essentially the same S-Pen you’ll find in the Note. It’s small and passive (no batteries) and fires up the same software overlay you get on the Note when you pull it out. The system is nice and responsive, as well — I didn’t detect much noticeable lag when using it to draw. It lacks the heft of larger pens from companies like Microsoft and Apple, and as such isn’t as suited to long drawing sessions. Also, don’t accidentally insert it upside down, which is a thing I definitely didn’t do, because, hypothetically speaking, it would be really, really hard to get it back out again. The keyboard also loses some points for being squishy. It beats a typing on a keyboard case, but not that much. ‘The pen is included with the notebook, which at $1,400 as configured, is not exactly cheap. That’s $100 more than the cheapest MacBook, with similar specs, including 256GB of storage and 8GB of RAM. The resolution’s also a step down at 1920 x 1080 on the 13-inch, versus 2304 x 1440 on the MacBook’s 12-inch. The stated battery life is around nine hours — middling, but it should get you through a full day’s use, unplugged. You can also keep an external battery pack handy for charging via USB for those times you need to spend more time away from an outlet. It’s not a bad little notebook. There’s nothing really exceptional here, but it should prove a nice little travel companion. There’s not a ton in the way of firepower under the hood, so in spite of the pen functionality, this isn’t the “creative professional” machine Microsoft keeps promising with its Surface devices, but those who appreciate the S-Pen on the mobile device will likely appreciate it here, as well. 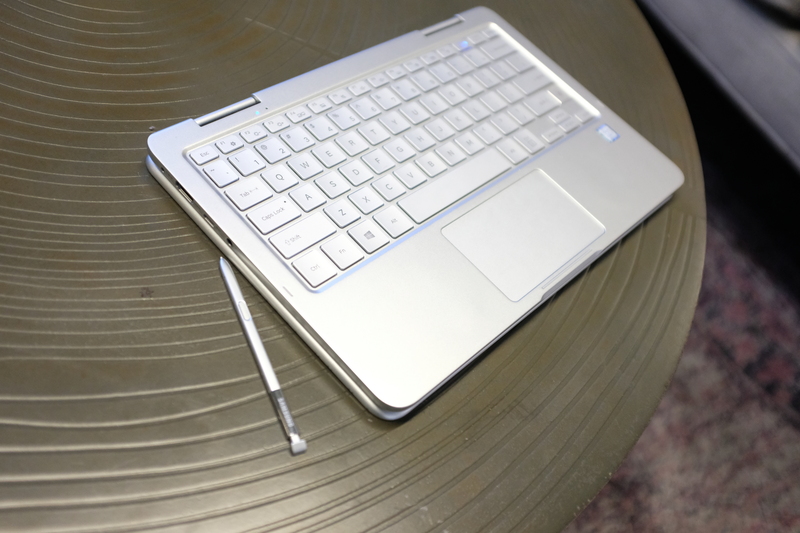 The device hits retail on February 18, along with the standard Notebook 9 and low-cost Notebook 7 Spin.